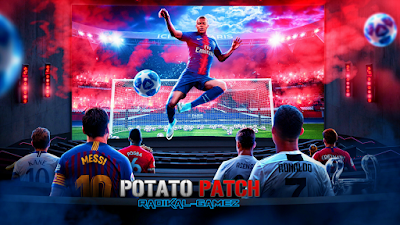 This is the new patch for Pro Evolution Soccer 2018 PlayStation 3 made by Potato Team. It includes many updates for 2018/2019. Added more than 550 faces. Added logo of champion Libertadores 2018 for River Plate. Etihad Stadium, Emirates Stadium, Stamford Bridge and Signal Iduna Park). Changes in the gameplay. (Better physics on the ball, more injuries etc). • Added missing LaLiga and LaLiga 123 kits. • Fixed the Camp Nou error in finals. • Fixed the freeze error at the end of the Club World Cup. • Corrected adboards of the friendlies. • Corrected the error of the Italian Super Cup. • Corrected error of the Mexican and Wolfsburg uniforms. • New logos and kits for Europe and World Classics. • New kits and logo for Atl Paranaense. • New stadium added "Estadio de La Ceramica" replaces the generic Metropole Arena. • Added special kits for Liverpool "BLACKED" and Bayern "ALL RED"
• Removed the Barcelona FC logo. • Fixed the problems of white faced players. • Fixed the error of the PES 2019 Soundtrack. • Added optional mod to activate only commentators. • Added optional mod to activate only the music. 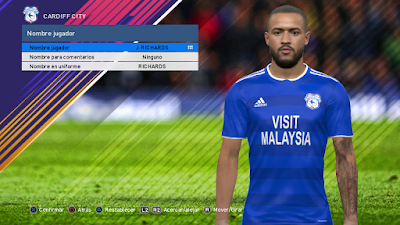 • Fixed the error of the optional mod "Arab commentators"
• Updated Kits Season 2018-19. • More than 1000 new players. • 3 New Legend Players (Karagounis, Ceni and Giggs). • Removed flags type Russia 2018. • Eliminated the introduction of Russia 2018. • New Logos for Competitions (Trophee of Champions, Serie A, Coppa of Italy etc.). • New Logo for F.C Barcelona. 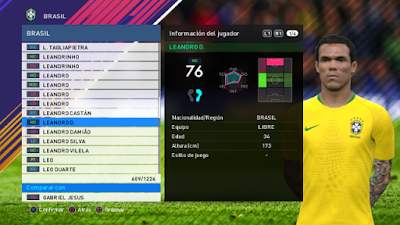 • Legends players now have an average age of 20-25 years so that in this way they last several seasons when they are signed up in LM in high performance since they are reborn with low skill. • Adapted realistic PES 2019 grass. • New animations in the arc networks when scoring a goal. • Notable improvements in the effects of lighting and climate in the stadiums. • Original trophies for the competitions: FIFA World Cup, Eurocopa, SuperCopa of Europe and Copa America. • Eliminated stadiums St Louis II, Morelos and Estadio Chivas. • Fixed the error in which the players left without body in BL and LM conferences. • Improvements in the stability of tattoos and more than 120 new tattoos (D'Alessandro, Cassano, Pulgar, De Paul, etc) NOTE: Tattooed players come out with an error when putting them long sleeves so they were assigned short sleeves from the menu Edit. • Stability improvements playing at Santiago Bernabéu. • Corrected the grass in Estadio Azteca and El Cilindro. • New pack of commentators extracted from PES 2019. • Super Champions anime teams added to classic teams. • New intros and presentation videos for all competitions. • New textures in the kits (Correct the sponsor's error that in some cases was disproportionate). 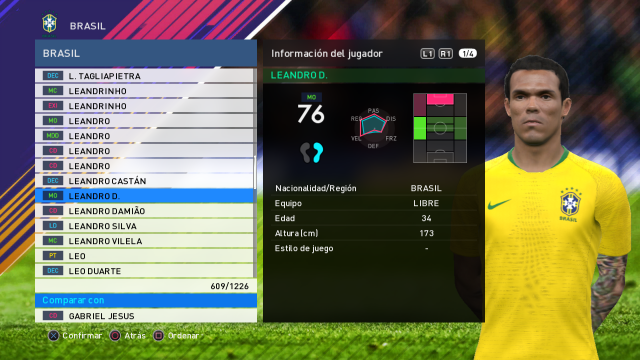 • New icons extracted from PES 2019. • New graphics for Liga Master. • Solved the problem that did not let him play with Germany during the day. • Transfers to the day in most leagues. 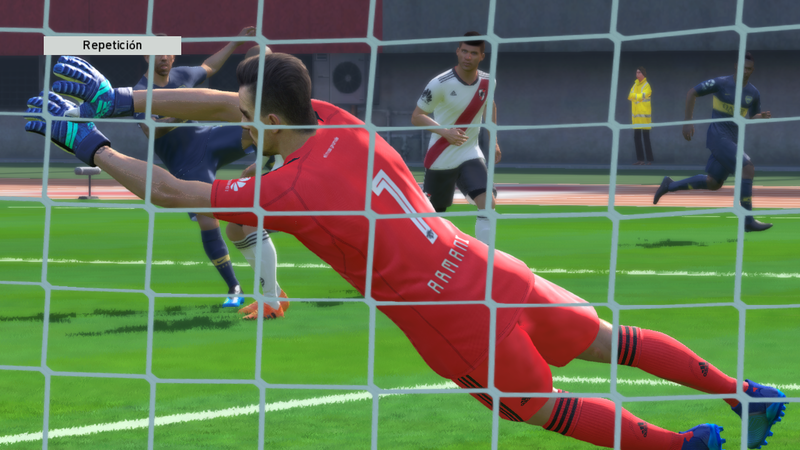 • Added 100 goalkeeper gloves. • 9 new stadiums (New Gasometer, Allianz Park, Johhan Cruyff Arena, Prince Abdullah Al Faisal, King Fahd, Celtic Park, Tokyo Olympic, Arena Do Gremio and Arena do Corinthians). • Fixed the error assigned by the Serie A ball for champions and europa league, now has correct allocation for group matches and final. • More than 50 players retired free to be signed in league Master. 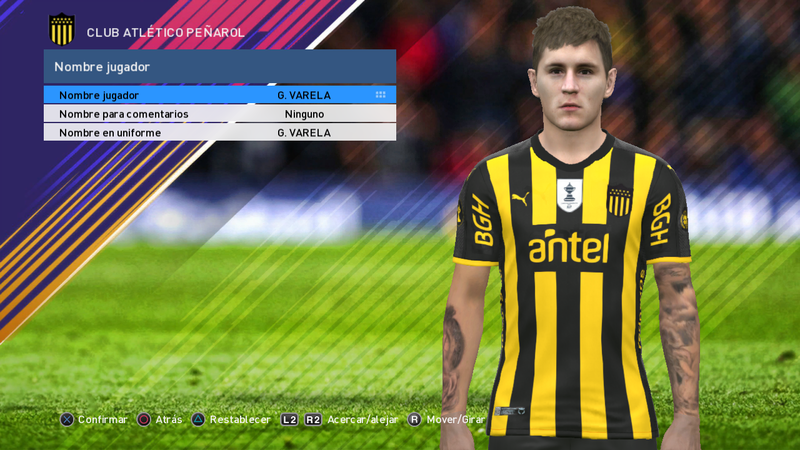 • New effect of sweat on the players. 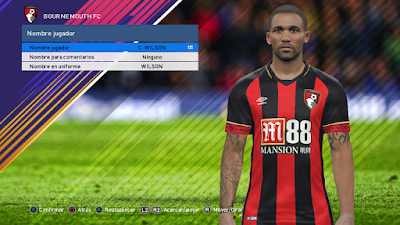 1 - Delete all existing datapacks to make a clean installation, for this go to the xmb -> PS3 game data tools and delete what PES 2018 says. 2- Install the update 1.08 (in the game it marks 1.05.02). 3- Install the 3 parts of the patch always respecting the order as otherwise it will not work. 4- Paste the PS3 folder corresponding to the savedata in the root of a pendrive and paste it to the console by going to the xmb ---> "Saved data tools PS3"
5- The optional modifications in the users with cfw are installed by hitting the chosen cpk in the USRDIR folder of our datapack and then hitting the activator.